Joel Stephens appointed as our inaugural Women’s Coach. > Uncategorized > Joel Stephens appointed as our inaugural Women’s Coach. 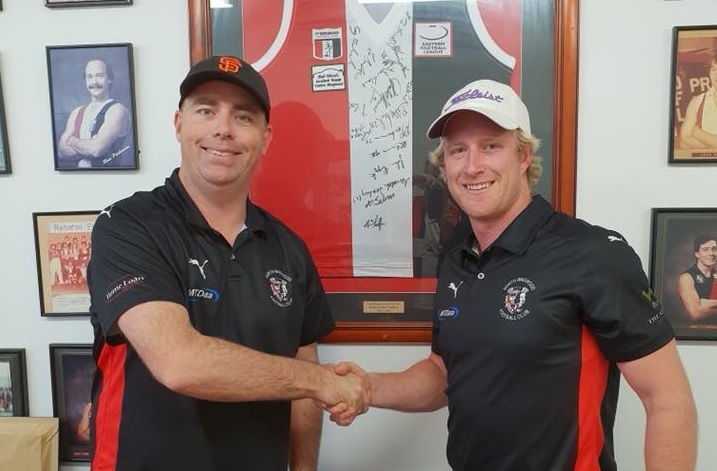 The North Ringwood Football Club is pleased to announce Joel Stephens as our inaugural Women’s footy coach for the upcoming 2019 season. Joel has a long history of playing at North Ringwood throughout his junior days as well as playing at the senior club. Joel also played at the Eastern Rangers and had some time at the Box Hill Hawks as well. Joel is looking forward to coaching the women’s team, helping them develop their skills as well as making it as enjoyable as possible. Bookmark this article Joel Stephens appointed as our inaugural Women’s Coach.